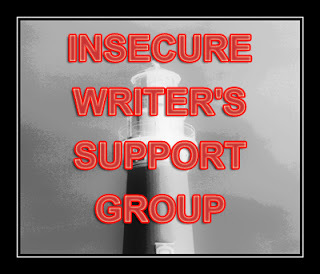 What is the IWSG and how do I join? Have you ever had a hatred of something, possibly even a borderline phobia, that could potentially affect your decision making process when it comes to your career? I don't mean anything risky or potentially life-threatening, just something ordinary, that other folk have no issue with whatsoever. The kind of thing that makes people look at you like you have two heads when you confess you have an issue with it. Well, not the phone itself per sé - try and separate me from my mobile and it could result in a fight to the death - but I don't use the darn thing for talking to people. Good grief, no, the very idea triggers a rush of anxiety and makes my stomach clench. I can begrudgingly use the phone to make an appointment, or resolve an issue, I just can't stand "chatting" on the thing. No thanks. It makes me feel trapped like a caged animal. Yet I'll happily make a quick call to meet you somewhere face-to-face, assuming a text message isn't suitable or instant enough. So how on earth could my phobi-hatred of phones affect my writing career? Could I bring myself to submit to a publisher, when the possibility of good news and the offer a contract fills me with absolute dread? No, honestly - could I? - because I'm really not sure. The fact that the publisher insists on actually speaking to their authors, rather than engaging in emails or web-chat, could push them down the pecking order in favour of a publisher who happily engages in other methods of communication. It's a funny old conundrum, isn't it? Which brings me back to my opening question; do you have any foibles, or phobias, that could potentially affect your career? Okay! So you have outed me! Did I really want to share this? Possibly not! Not all BIG publishers insist on speaking to you...I might have something to share soon! If I have the choice between two great publishers, my loathing of talking on the phone could well sway my decision though. That's good. I was always told that the test was whether the fear made you change the way you acted, then it was something that was becoming an issue. You'll be fine, just one little call....imagine the happy dance you'll do around the room afterwards! I'm a complete chatterbox, but I've become so busy lately that I don't have time to even do that. I know when I get calls, I'd sometime rather run in the other direction in case it's someone I love talking to and I can't give the chat 'my all' so to speak. I share the dislike for the phone. I'm fine talking to people I know on it but ask me to ring the dentist, the insurance, the bank etc and I panic. I do ring those places when I have to, but it's definitely not something I enjoy doing. However if I am ever lucky enough to receive 'the call' that will be one call I'd be more than happy to take. 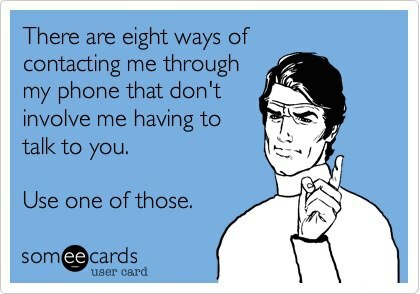 In fact every day now I hope my phone rings and it's some one other than my mum or husband, just in case.